This incredible Home listed on the Historic Registry is now available! Located on the Timeless street of South Mount Vernon Ave. The charm is overwhelming ! Incredible curb appeal with lush landscaping and a huge front porch spanning the width of the home is a must see. 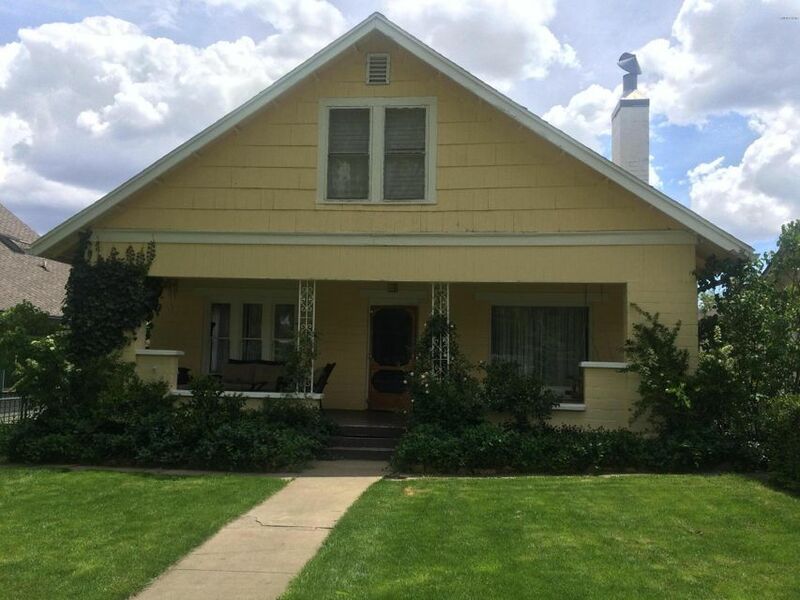 This home has 4 bedrooms and 2 baths, formal dinning room, as well as ample living room. Hard wood floors throughout home, custom built ins and shelving. Cozy wood burning fireplace, indoor laundry, and so many features to enjoy. Walking distance to down town restaurants , bars, library, police , and post office. 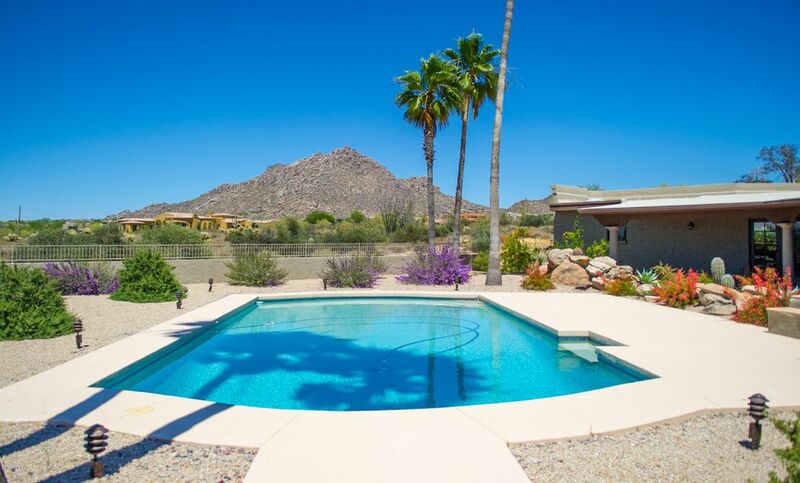 BREATHTAKING VIEWS OF PINNACLE PEAK AND TROON MOUNTAIN IN YOUR BACKYARD. 360 DEGREES UNOBSTRUCTED VIEWS OF MOUNTAINS, CITY LIGHTS, AND MATURE SAGUAROS. 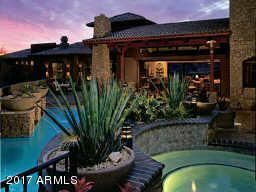 Incredible 3.6 Acres in Premium Scottsdale with Permanent Views and NO HOA!! Elevated property, horse privileges and riding trails. Olympic size lap pool, Remodeled kitchen, bathrooms, travertine flooring and new carpet. All new appliances. Refrigerator, Washer & Dryer. Stone Fireplace Floor to Ceiling. High Cathedral Ceilings. Extra Large Game Room and Office/Library. Renovated in 2014. Breathtaking home on 1.2 acres sits on the 11th fairway of the Troon North Pinnacle Course with views in every direction. This Lee Hutchison-designed home features a 7 car air conditioned garage and many exquisite finishes. Chef's kitchen is equipped with 2 dishwashers, Viking Range, Sub-Zero fridge and butler's pantry; family room w/fireplace completes the open space. Formal living and dining area has a fireplace. The master suite has adjoining office, fitness room, two patios, and a fireplace. Lower floor houses a guest retreat/media room and two ensuites. 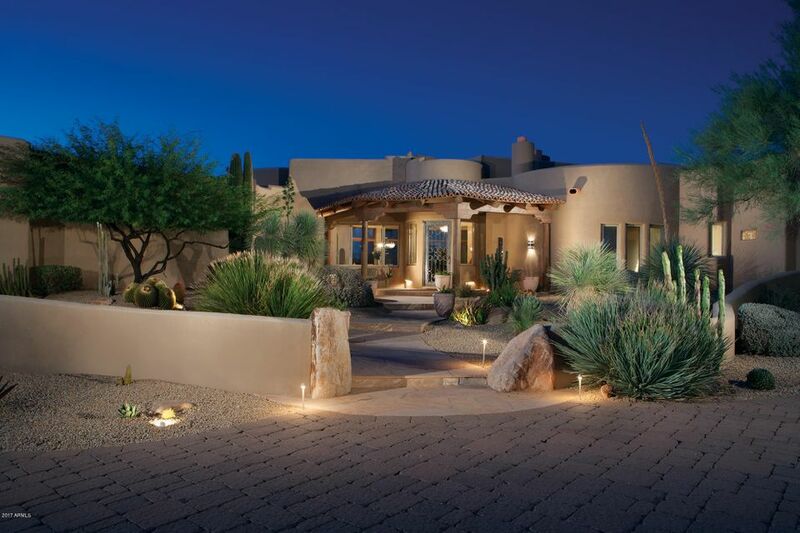 Addt'l Features: 5 fireplaces, beamed and Vega ceilings, Lutron lighting, 2 laundries, 8 patios, 2 BBQs, infinity edge pool & spa, spectacular landscaping w/12 tons of boulders. SEE FLOOR PLAN & FEATURE LIST IN THE DOCUMENT TAB. 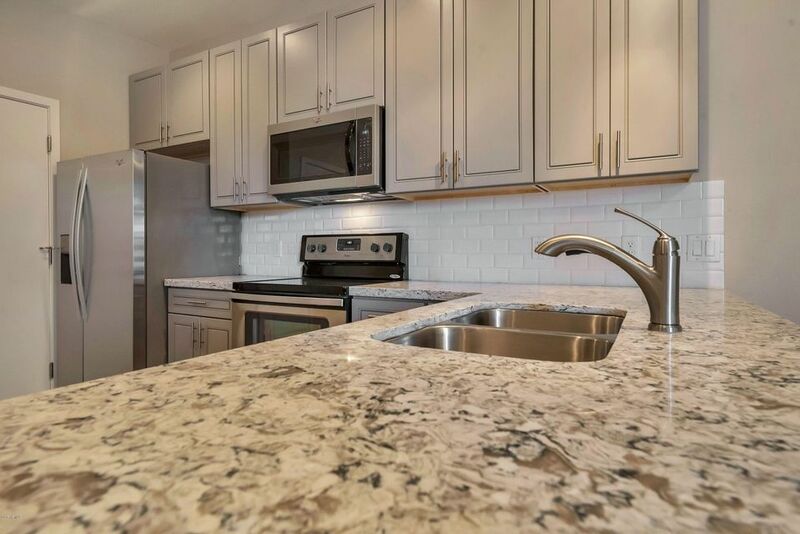 One of the very few penthouses available in all of Old Town Scottsdale which has been completely upgraded with the finest granite, stone, wood flooring and many other upgrades as well. This barely lived in unit, completed in 2012 is very private. Beautiful views of the canal and McDowell Mountains to the east. Walking distance to all downtown Scottsdale activities. Other penthouses (if available) in comparable type developments would be much more and have much higher fees for HOA, etc. Approx $100,000 in upgrades...see document tab. Property is also available for sale mostly furnished by separate bill of sale. 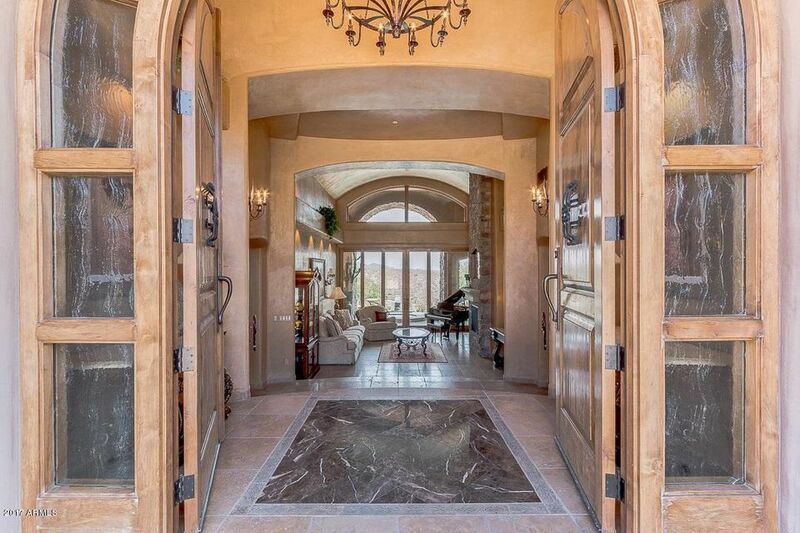 Relax in comfortable elegance in this beautiful Tuscan style home. Greeted with forever views the home evokes old world charm with the most up-to-date features. Lovely interior courtyard is a perfect place for lounging & entertaining. You will be amazed by the architectural detail & workmanship. With sweeping views, negative edge pool & cascading waterfall, backyard is picture perfect! Large separate office with built-ins for working at home. A 10 car air conditioned garage w/ample storage & 2 car lift holds all your toys, exercise equipment or create a shop or place for hobbies. Feel safe & secure with the sophisticated security system. Separate 1 bedroom guest house with great room & complete efficiency kitchen affords privacy. Put this one on your must see list! Also see MLS#5611254. 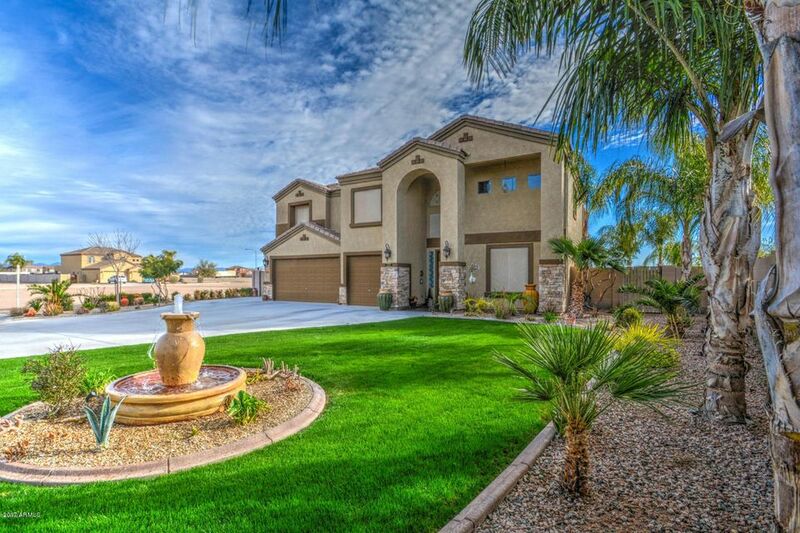 This is a great opportunity to own a home in Finisterre, a premier gated subdivision in the heart of Paradise Valley. House can be remodeled (plan available) or torn down to create a great estate on an interior lot. Most rooms have high ceilings. Huge rear yard with loads of room with room to enlarge the footprint. 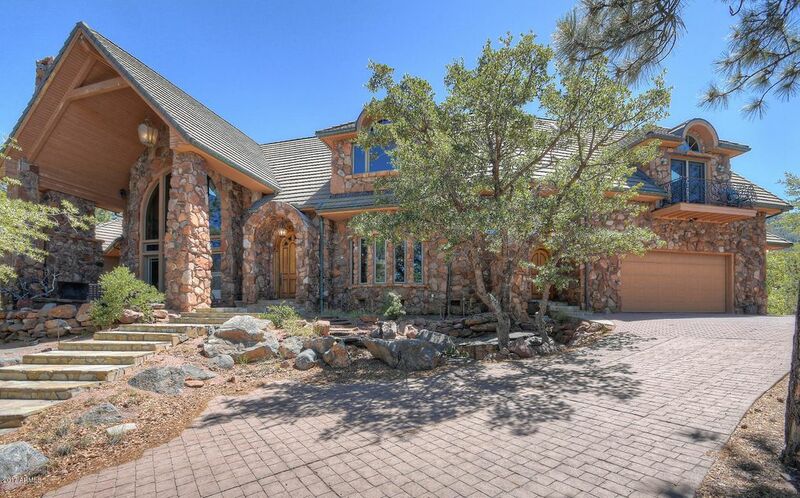 Private 50 Acre retreat in the tall Ponderosa Pines near Payson. This gated retreat features a private paved driveway that climbs to a secluded well appointed home. Featuring 4 bedrooms and 3.5 baths multiple indoor and outdoor fireplaces, decks and views of the rim country and distant vistas. From one of the highest perches in the area you can relax and enjoy all the creature comforts of the city but escaping to the the finest mountain hideaway under two hours from PHX metro. Escape the summer heat as well as enjoy the 4 seasons in the cool nights of fall and winter. Multiple home sites allow for future expansion or may be preserved for ultimate privacy. 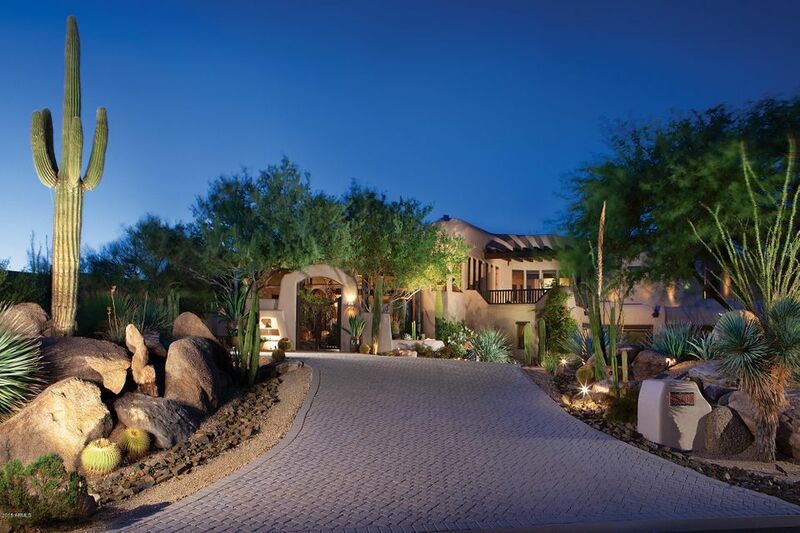 Fabulous ''authentic'' Southwest Santa Fe Territorial on 4.77 acres capturing the best views of the Valley, night lights, seasonal sunsets and panoramic mountain views from Pinnacle Peak to the Phoenix Mountain Preserve. All on one living level, split bedroom plan with a separate guest house AND Caretakers quarters (three structures in all). A rare equestrian property in this locale with 4 stall barn and 3 turnouts and watered riding arena. 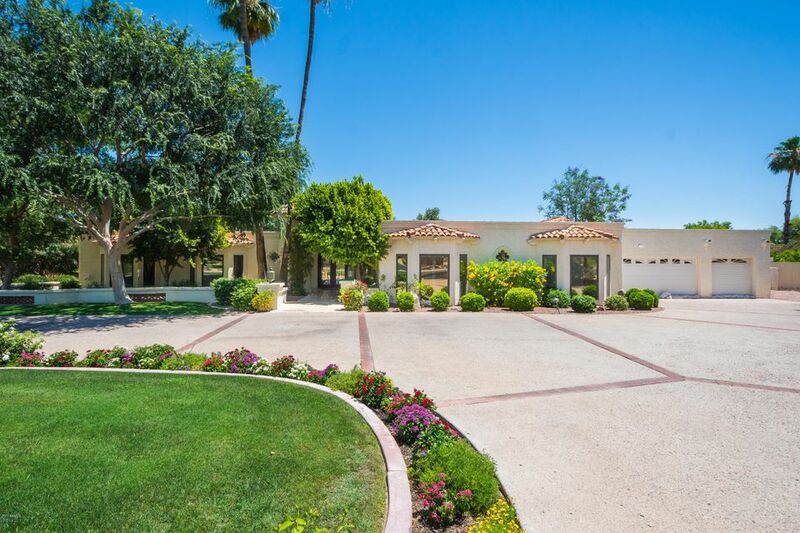 A palm tree lined paver brick driveway leads to the circular motor court and entry of this fine estate. This is the very essence of what visitors from afar expect to see when visiting Arizona. A must see and a must show for anyone looking for peace, quiet and tranquility-quintessentially Scottsdale Arizona at it's roots. 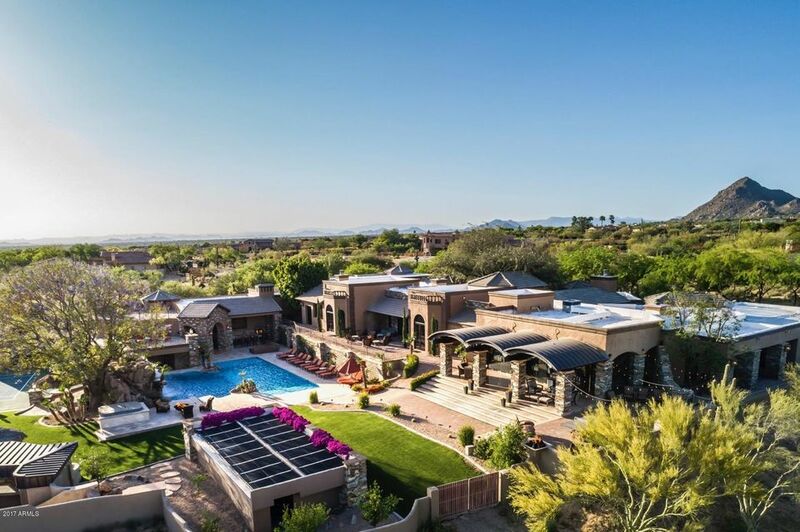 The Peak-a gated, north Scottsdale community of 34, 4+ acre estate where grandeur and luxury aren't the exception, they're the norm. With more than 5700sf this is a home for those who enjoy private, unencumbered living, with plenty of room for both friends and family when the occasion beckons. Converse fireside by one of three, sculpted gas-hearths, or simply gaze awestruck through the floor to ceiling windows at the iconic, Pinnacle Peak Mountain. And when it's time to take-in fireworks on the 4th, sneak away to the guest house rooftop deck for unobstructed views of the valley. The guest house offers a versatile floor plan with two, 1 bedroom guest homes- one with a 1-car garage, the other a game room/man cave or 1 bedroom with a 2-car climate controlled garage. 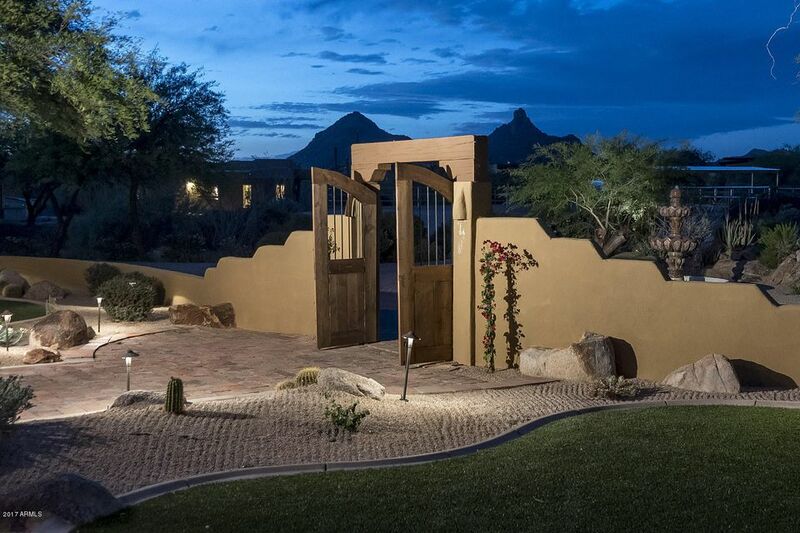 This sanctuary of desert serenity is situated on 2 acres in prestigious Las Montanas and only minutes to I10 for easy access to Phx or Tucson. 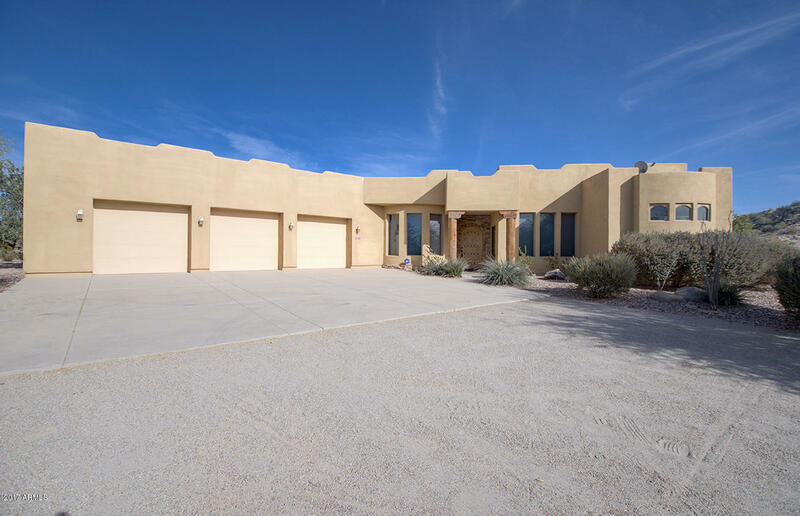 Enjoy the high desert & mountain views from the spectacular picture window in the family room. There is a view from every window in this home. Exhaustive list of interior design elements beginning with the well thought out floor plan, and all of the amenities one would expect in a home of this stature, the interior flows seamlessly in a captivating collection of warm & relaxed living spaces. Coffered ceilings soar to heights of up to 16 ft, beautiful travertine tile floors, highlight the living areas. The massive granite island is a natural gathering place & showcases the alderwood cabinets and chef's kitchen. Lightly lived in...a true treasure! WOW! ***BRAND NEW UPDATES*** (10/5/18). ALL NEW PHOTOS! Located in the desirable 24 hour manned gated Coral Gables Estates Community. This 6400 sq. 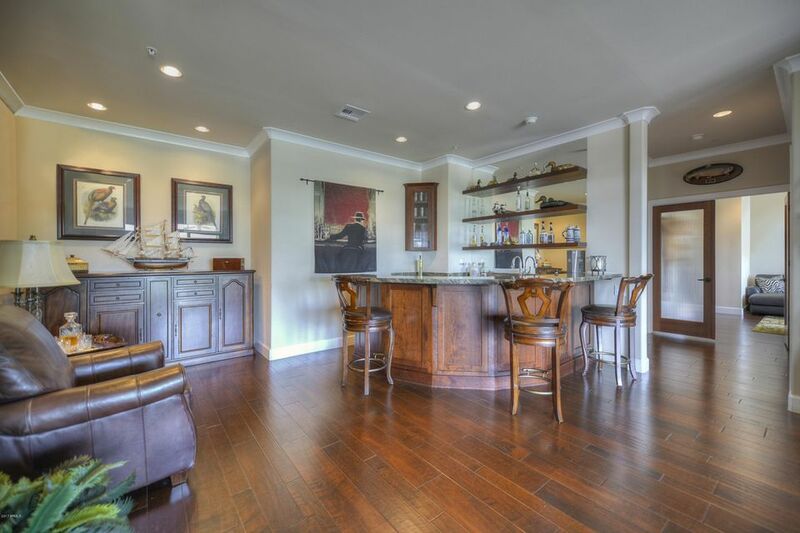 ft. custom home has classic finishes throughout, including wood floors, granite counters, and high coffered ceilings. The versatile floor plan has 6 bdrms, an office, a game room, and media room. The kitchen is equipped with top-of-the-line appliances, including a Sub Zero refrigerator, Viking stovetop, and a Scotsman ice maker. An added bonus in the over-sized master suite is a gas fireplace. The over-sized refrigerated garage with extra storage is a dream come true.This fabulous home is 32% less than the other luxury properties in the area. 3 Bedroom, 2.5 Bath Upscale Townhouse with den/ofc on the light rail. New construction! Attached 2 car epoxy garage. Granite countertops. 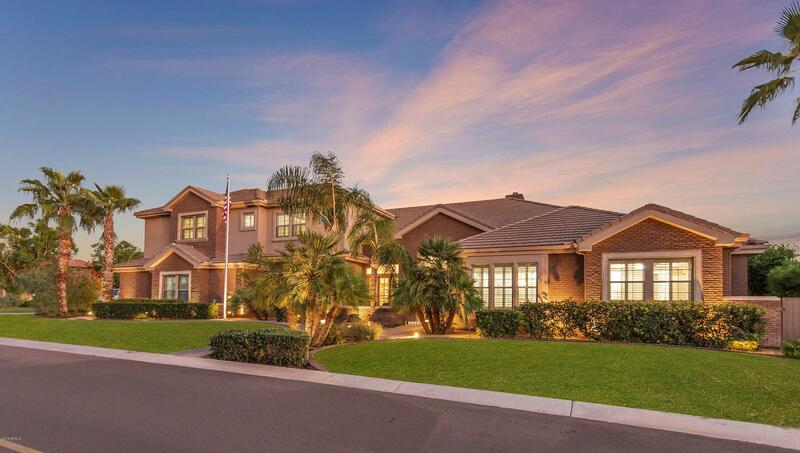 IRON & BRICK WORK, paver streets, landscaping, private patio, community pool & spa w/ramada. Two-tone paint. 9'ceilings. Stainless steel appliances, ceiling fans, and window blinds - ALL INCLUDED! Master has Frameless Walk-in Shower, large Walk-in Closet w/built-in shelving. The professionally designed pkg of tile, carpet & wood on this unit is Gray. Gated. Additional upgrades available. Builder has gone the extra mile from interior design to curb appeal! Close to Cubs and A's spring training, Riverview, and Tempe Marketplace shopping. Located in Bldg 1. Construction now complete (photos from furnished model) MOVE IN READY!